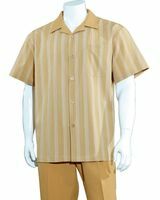 When Summer warm weather is around and wearing a regular suit is not an option, you're going to need some mens short sleeve walking suits. 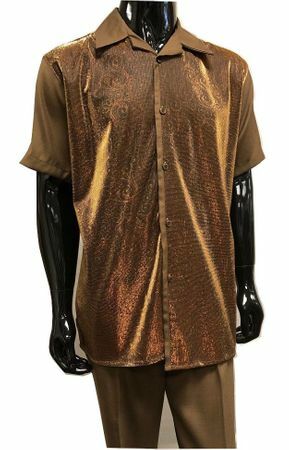 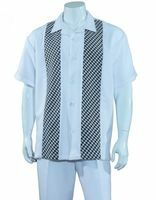 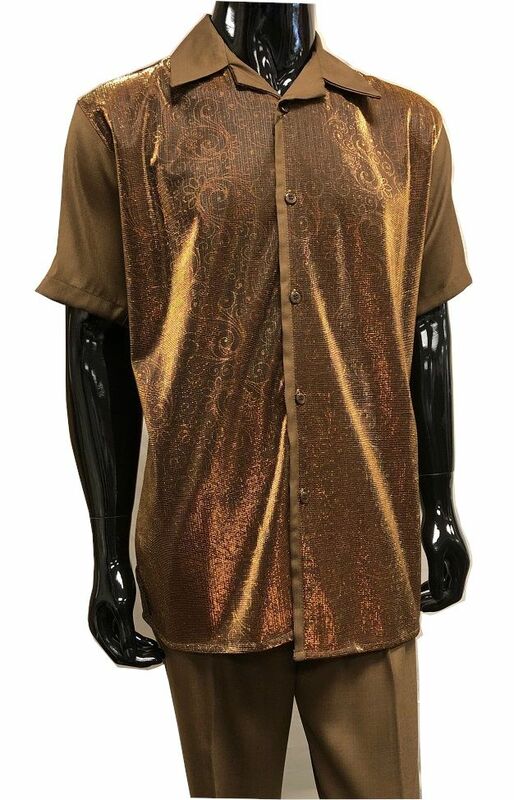 Short sleeve Walking Suits are mens casual dress clothes that that are meant to be worn with a matching Kangol Hat and have become quite Fashionable including two piece casual outfits that are quite popular down south. 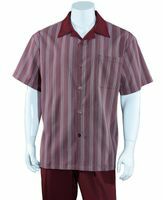 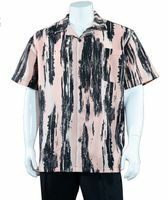 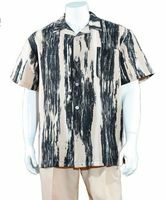 One of the best things about wearing mens short sleeve walking suits for the Summer is that it takes all the guess work out in looking good in Mens Dress Clothing. 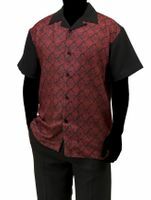 These fancy style outfits also make for fine Church clothes for men because everything already matches. 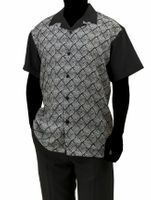 The well dressed man should wear his 2 Piece short sleeve mens walking suits with style. 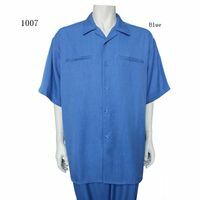 Short sleeve walking suits are an affordable way to look your best at all times even in the Summer heat. 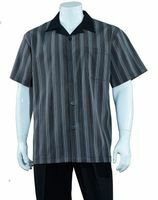 You can wear mens casual dress clothes like Fashionable 2 piece Men short sleeve casual outfits and two piece sets with a whole array of different shoes from fashionable dress shoes, casual moccasins and even nice Fashionable dress sandals. 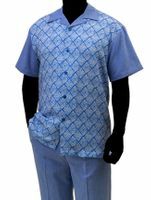 With a little imagination you can look great with our short sleeve casual outfits and complimented with our Mens Summer Hats to finish the look you're driving for. 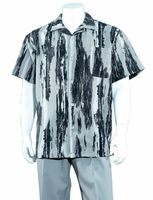 Dress outfits for men has never been more fun to wear or easier to look your very best in when it comes to dressing in an upscale manner. 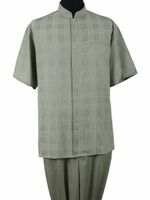 Shop all of our different styles of Walking Suits. 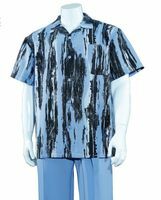 When you need some nice looking Church clothes for men during the summer months, these Short Sleeve Casual Outfits will look great together with our huge selection of Mens Fashion Dress Shoes from Stacy Adams Shoes. 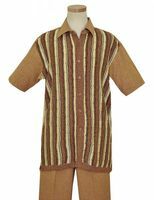 If money is tight, shop our selection of Cheap Suits. 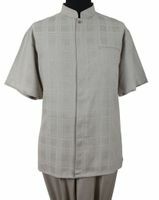 Montique makes their short sleeve walking suits with a mission of classy style and unique style fabrics that you won't see on lesser brands.